The internet is always evolving, and as it does it is up to us to try to keep up! New technologies change the way we view the web, and old technologies become obsolete, new design styles come in to fashion and new software is invented. Also, how we browse the web is changing, with more people than ever using mobile devices rather than desktop computers, and a lot of newer devices have very high quality displays that show up older graphics. I love to keep up with the latest technologies, and I consider it essential to stay up-to-date with new methods and practises. Nowadays everyone talks about HTML5 websites, and by this they really mean a website that uses the most recent techniques and technologies. 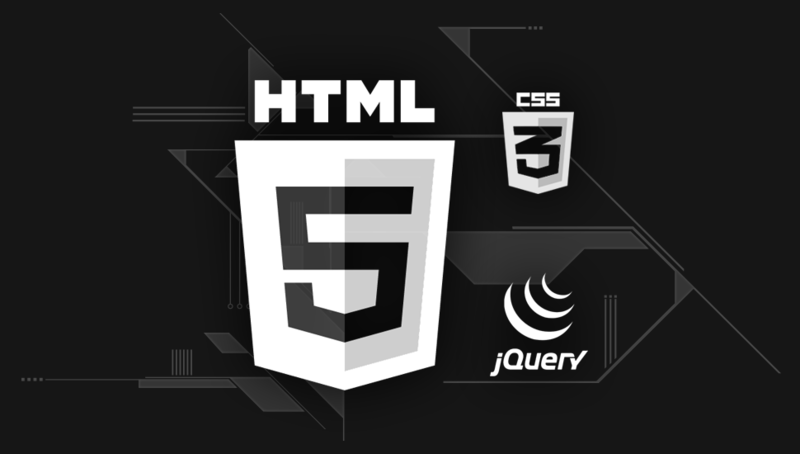 HTML5 goes hand in hand with CSS3 (and often jQuery) and they replace older methods of presenting content such as Adobe Flash. All modern web browsers like Chrome and Firefox support HTML5, and outdated browsers are increasingly abandoned. This allows developers to use all the exciting new features that HTML5 offers without having to be restricted by catering to outdated technology. The web is currently transitioning from HTML4 to HTML5 as older websites are updated to the new standard. Perhaps the main advantage of HTML5 is that it is mobile friendly. With lightweight visual effects, support from the industry, and support form browser makers like Google and Apple, websites and web apps can be quickly and painlessly deployed across devices. It doesn’t matter if you are browsing on your desktop machine, on your laptop or on your smartphone, the technology is there to provide a smooth user experience. Even though smartphones may be using iOS, Windows or Android, all of these are based on HTML5 so it is supported throughout the whole spectrum of mobile devices, allowing you to deliver content – your website, your mobile app, even your game – to wide array of customers. Next to HTML5 there is CSS3 and generally these two technologies go hand-in-hand. CSS3 is used for visual styling – making the HTML5 look beautiful, and now it includes more methods of doing this than before. Previously a designer may have been limited in what they could achieve, but now with effects like rounded corners, shadows or animations it is possible to make a website more quickly, and the result is more attractive and easier to use. Another benefit is that websites have a smaller number of files and images that need to be downloaded for the site to look good which makes sites load faster enhancing user experience. CSS3 is so powerful that when used in combination with HTML5 it makes older technologies like Adobe Flash or Microsoft Silverlight obsolete – leading to some companies like Apple to abandon them altogether. All this is a long winded way of saying that there are advantages to having a website that is designed and built using cutting edge web design techniques. With so many people viewing websites on mobile devices it is essential to be using HTML5 so that the user gets a full viewing experience (and don’t forget about responsive design). Websites need to be kept up-to-date or they will not be suitable for today’s users, and while it may not be possible to build a website that is entirely future proof, it is possible to give yourself the best possible advantages.